We run an inter-club time trial series in the spring and summer of every year, usually hosted on a Thursday evening. We compete against Sevenoaks Tri and Sydenham Wheelers over a variety of local courses. It’s a great event and there is a high turnout of riders from all ages and ability levels. 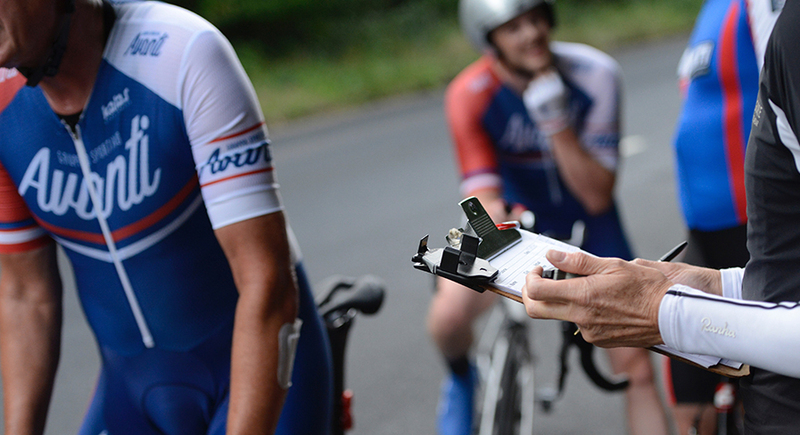 There is a £4 entry fee to enter each time trial, although this is reduced to £2 for members of GS Avanti on evenings when we are responsible for marshaling (to cover the CTT fee). The scheduled start time is the time that the first rider starts, so aim to arrive at least 20 minutes beforehand to pay the entry fee, get your number and go for a quick warmup. Each rider starts one minute apart. From 2014, entry was restricted to members of GS Avanti, Sevenoaks Tri or Sydenham Wheelers clubs due to popularity, but several riders do currently ride for GS Avanti as their second (claim) club. For evening races, the number of riders is restricted by the available day light and there is a predetermined cut-off which limits the number of competitors. NOTE: A rear light is required to race. No light, no time/points. In case you wondered: Q means Kent, G Surrey, E Essex and so on. 10 means 10 miles. So, course Q10\26 is the 26th 10 mile course in Kent. Old courses retain their number but are no longer used i.e.Q10/2 (originally from Farnborough Hospital to Badgers Mount to the finish in Shire Lane) has not been used since the M25 opened.